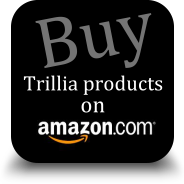 Why choose or use nebulizer aroma essential oil diffuser instead of ultrasonic or humidifying type ?-ARTICLE | Trillia Health & Beauty Biological Technology Co., Ltd.
Home | ARTICLE | Why choose or use nebulizer aroma essential oil diffuser instead of ultrasonic or humidifying type ? What is nebulizing aroma essential oil diffuser? Nebulizer type! How to choose a better or good nebulizer aroma essential oil diffuser? Why choose or use nebulizer aroma essential oil diffuser instead of ultrasonic or humidifying type ? How to clean the clog of glass nebulizer essential oil diffuser? How to get rid of acne or prevent acne naturally ? Why choose or use nebulizer type aromatherapy essential oil diffuser instead of ultrasonic or humidifying type ? Comparison and review! Many friends always ask me about what is the best essential oil diffuser,how to use, and waht inspired me to start design nebulizing essential oil diffuser, and the answer is absolutely in accordance with why choose or use nebulizer type essential oil diffuser instead of ultrasonic or humidifying type. I’m a professional nebulizer designer for essential oil and natural extractive liquids for years. But in fact, I were still a faithful user of ultrasonic or humidifying type diffusers until 7 years ago, I once bought 6 sets of ultrasonic or humidifying type diffusers and used them in the period of 6~7 years, maybe longer. In that period of time, I’ve never seen nebulizer type diffuser or even have no any idea about it. But one day, something changed me suddenly. I still remember it was a Saturday afternoon when I shopped in a department store, I was totally attracted by a glass nebulizer diffuser. Be honest, the overall appearance design of this nebulizer is not beautiful and it’s also as big as an old style table lamp. 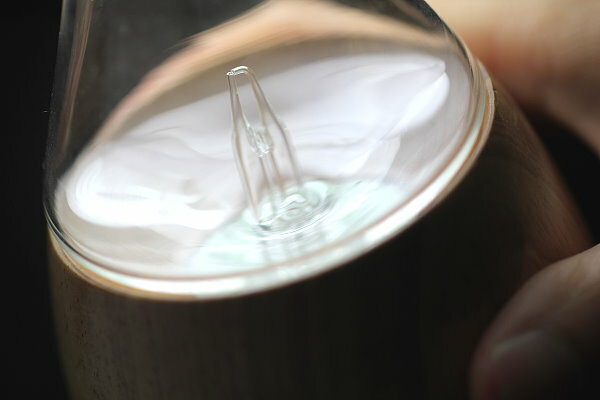 But I was completely shocked and touched by the scene when glass nozzle sprayed, It amazed me totally. So, I decided to buy it without second though, even I know it is not a beautiful works. I could not wait to try it when I got back home. I assembled the kit and turned on the power. The fragrance of essential oil diffused and saturated the air extremely quick. It's my first time to smell such pure aroma, Awesome! Then a comparison index came across my mind, I started to wonder why the aroma that generated by ultrasonic or humidifying type diffuser are such flat, and as thin as the air, compared to nebulizer type. Then, it brings me back to my memory about the first time to make a good cup of coffee by myself. Actually, I am an impatient person, and I used to have instant coffee in the past, because it brought me the benefit of convenience and time saving. 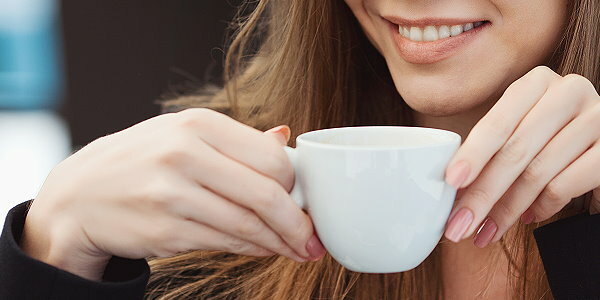 But one day, a friend of mine sent me a coffee maker and also got a bag of good quality coffee beans attached as Christmas gift, I still remember how deeply I enjoyed my first sip of coffee that made by myself, it is rich and aromatic, and the taste is totally different from instant coffee. The feeling is absolutely same as the first time I smelled the fragrance diffused by nebulizer. Right now, I make coffee first thing in the morning and everyday. I can’t accept instant coffee anymore, just like I can’t go back to use ultrasonic or humidifying type essential oil diffuser. Meanwhile, I would like to share some information for the concerns that people may have about nebulizer type diffuser. And it may be helpful to let you know more about it. Nebulizing diffusers consume more essential oil comparing to ultrasonic or humidifying type diffusers ? The answer should depend on your habit and the design of nebulizing diffuser. For ultrasonic or humidifying type diffuser, you need to pour essential oil into water, and the ratio of water to essential oil is usually larger than 200/1, so the fragrance smells extremely thin. Meanwhile, according to our analysis and experiments, the ultrasonic or humidifying type diffuser is hard to atomize essential oil, they are just able to atomize water. 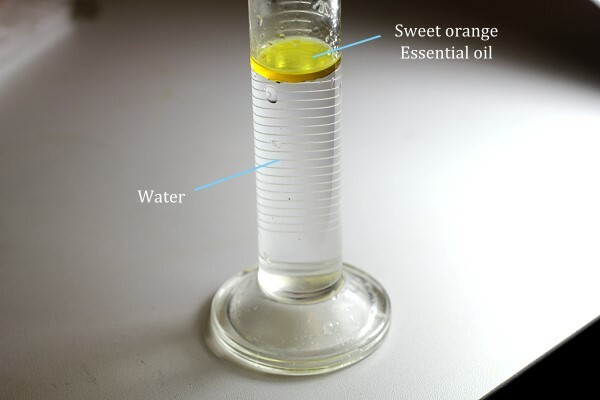 When you pour essential oil into water, the oil and water do not mix because of different proportion and type they performed. 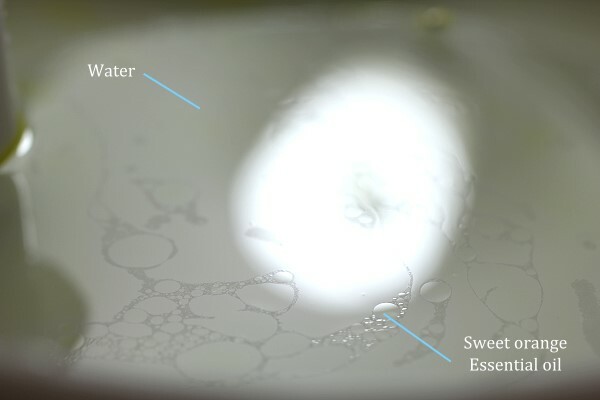 So you will see two isolated layers, and the essential oil layer will float over the water layer. The scent of essential oil will moisten some of the water in connect with oil, and aroma generated by ultrasonic or humidifying type diffuser is coming from the result of atomizing the water with scent moistened, instead of the atomizing of essential oil, so the aroma always smelled extremely thin and is only able to be felt when you are close to diffuser. 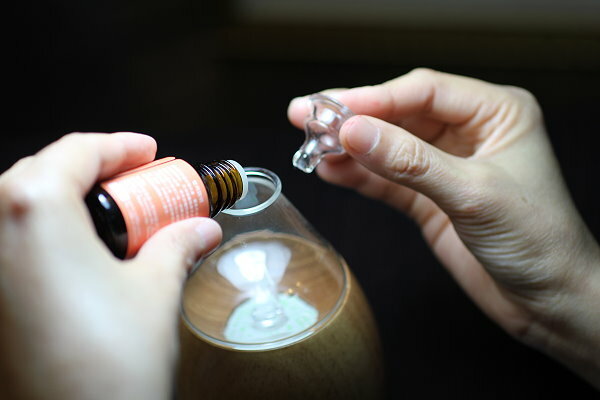 Some sellers emphasize the pure essential oil they sold can be used and atomized by ultrasonic or humidifying type diffuser, but according to our testing and analysis till now, all of them add chemical compositions to convert essential oil from oil type into water type or close to water type. First, they are not pure essential oil, second, the chemical additives they used are absolutely not good for health. From my personal experience, I like the nature and pure smell of essential oil, and I usually use diffuser for 15~20 minutes before my sleep. So I used to pour 6~8 drops when I use ultrasonic or humidifying type diffusers, because the thin fragrance is hard to make me enjoy the nature and pure aroma of essential oil if I pour less than 6 drops. And for most nebulizing diffusers, it can keep running for 15~20 minutes at least if you pour 8 drops oil. But keep it running continuously may be unnecessary, because the excellent atomizing performance of nebulizer can make the aroma saturate the air quickly, therefore, some advanced nebulizing diffusers have equipped the smart intermittent operation control function like we did, it often to be set up to run for few minutes and pause for another few minutes automatically, then it repeats continuously. This will not only bring the benefit of essential oil saving, it can also keep aroma smell much stronger than ultrasonic or humidifying type diffusers have. For example, if we set up the nebulizer diffuser to run one minutes and pause for another one minutes automatically, then 6~8 drops essential oil can make nebulizer diffuser keep running for 30~40 minutes at least. Nebulizing diffuser runs with loud noise ? In general, there are three kinds of noise that you might hear from nebulizer type diffuser. The design concept of nebulizing diffusers are mostly based on the principle of Bernoulli. 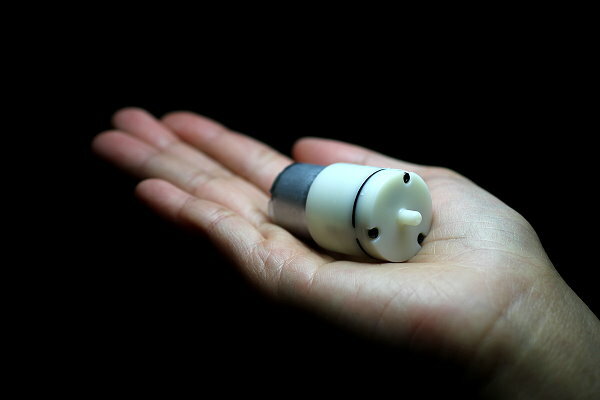 A air pump generates compressed jet of air and blows across a small tube creates a vacuum that pulls the essential oil at the bottom of the tube to the top of the tube. 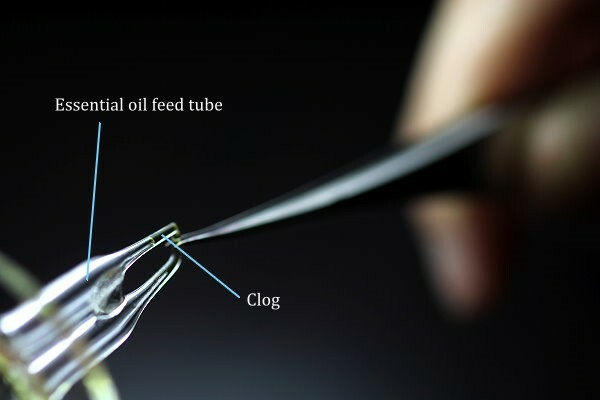 The air flow blows across the surface of the oil and bring it to strike toward the inner surface of glass nebulizer, then break up essential into micro molecular. Basically, the noise of air jet is unavoidable, and louder noise normally means better atomizing capability in theory. But designer is still able to figure out a best combination to strike a balance between noise and atomizing performance by fine-tuning the glass nozzle design. The micro air pumps operate via a motor that causes a rubber diaphragm to oscillate at high speed, producing a steady stream of air. Vibrations will be transferred throughout the pump when the diaphragm oscillated. So, it is impossible for air pump to be completely quiet as you wished. But we found many of the micro air pumps in the market place runs extremely noisy. It is mainly caused by cheaper components or material that they used or careless assembly procedure. A good air pump should run with acceptable micro noise and under 50dB and it will be declined to 5~10dB further when it is packed and well sealed into the base of nebulizer diffuser. Therefore, a good nebulizer diffuser will make you are hardly to hear the noise of air pump when operated. When the rubber diaphragm of air pump oscillates, it will cause vibration. So, you might hear the resonating noise if you directly put the nebulizing diffuser on hard surface, such as wooden or metal table. You can eliminate this noise by putting a piece of soft and thick cloth or sponge under diffuser, It will be helpful. Why the air pump of nebulizer type diffuser is dead or get weaker quickly ? 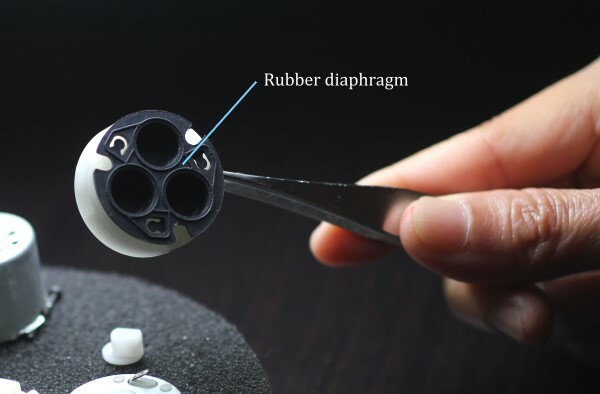 When you have used your diffuser for long time already, the frequent oscillation of rubber diaphragm will inevitably cause aging phenomenon and reduce the performance of air pump slightly. For a good air pump, it should keep 95% performance level at least if you had used it for one year long, and 85% above for two years. If your air pump is dead or get weaker quickly, it still mainly caused by cheaper components or material that they have used or careless assembly procedure. The ultrasonic or humidifying type diffuser is more easy or convenient to use comparing nebulizer type diffuser ? My answer is “ May be not”. 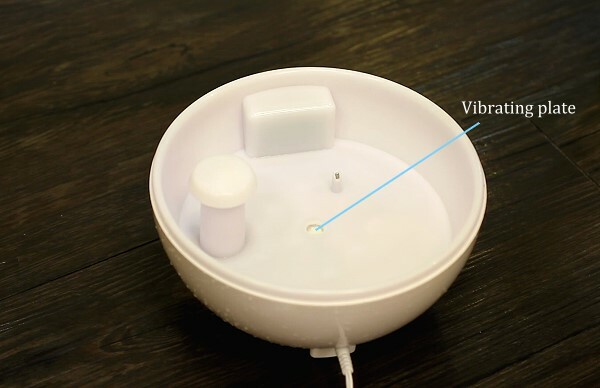 For some ultrasonic or humidifying type diffusers, you may need to disassemble 2~3 pieces of plastic shells or covers first, and bring the diffuser to fill water in kitchen or bathroom, then go back to bedroom to pour essential oil and assemble the shells or covers back. It’s really a little bit complicated procedure to me. But for nebulizer type diffuser, you just need to remove the glass lid and pour essential oil, then put lid on, it’s so easy. Nebulizer type diffuser is easy to clog ? 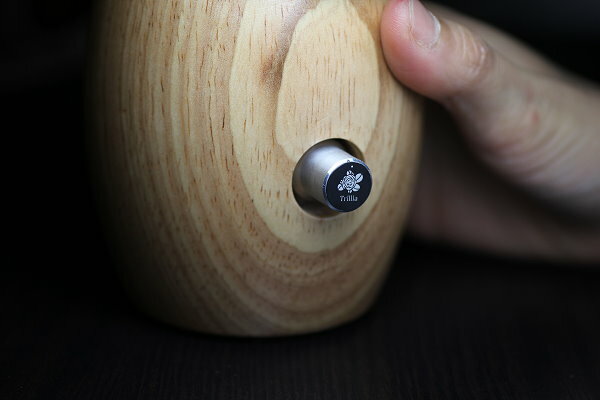 The nozzle of essential oil feed tube of nebulizing diffuser may clog if you use some sorts of heavy and thick essential oil, such as Sandalwood, Chinese fir, Cypress, Benzoin, and Myrrh, Or any ordinary essential oil but used for long time already. 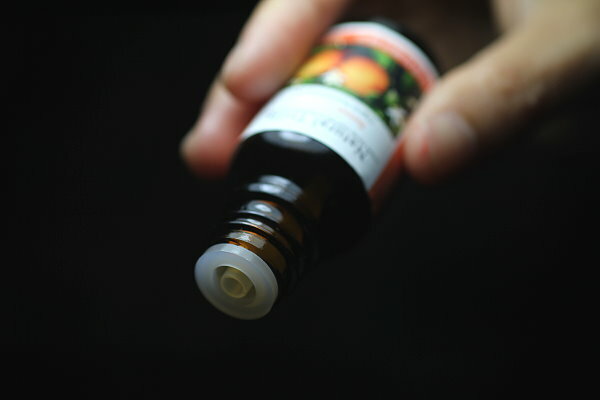 From my personal experience, I am used to doing experiment with sweet orange essential oil(Because it is cheaper) in office, I once kept using same glass nebulizer for three months long and it still worked nromally, even I never cleaned or rinsed it. And my longest record to keep using same nebulizer with essential lavender oils at home is three months. In fact, the reason I finally cleaned or rinsed nebulizers was because I were afraid of the possible negative impact for atomizing performance or the oil stain made the glass nebulizer become not beautiful. Therefore, nebulizer diffuser is not so easy to clog if you can avoid using the heavy and thick essential oils. But in order to keep the nebulizer in best condition of performance, I still suggest you to clean it with medicinal alcohol at least once a fortnight, and at least once per month with hot soap water. In fact, the ultrasonic or humidifying type diffuser may be highly possible get clogged because the proportion and type of essential oil and water are totally different, so they do not mix, additionally, the ultrasonic or humidifying type diffuser is only capable to atomize water, so the oil will remain on vibrating plate when the water is atomized completely, and it may lead to clog if you do not rinse it every time after you using it. 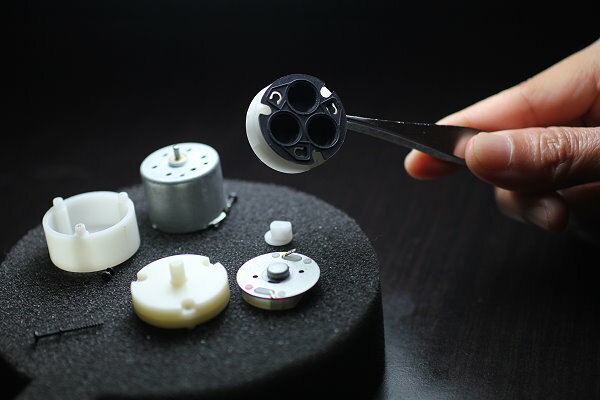 Meanwhile, you can clean the clog of nebulizer diffuser with easy procedure by yourself, but you need to return your ultrasonic or humidifying type diffuser to seller for repair when it get clogged. How to clean glass nebulizer when clogged ? When the glass nebulizer get clogged, you can pour 25 ~30 drops of medicinal alcohol into the nebulizer and shake it slightly for a while until the remaining essential oil has been cleaned out, and then pour the alcohol out. 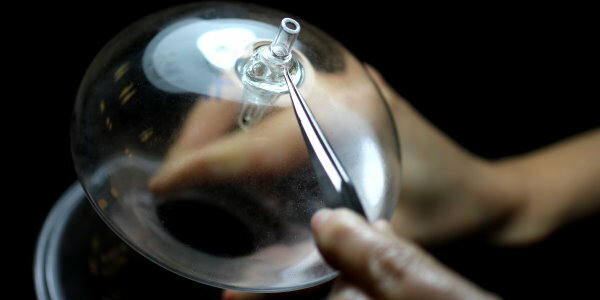 Then plug the nebulizer into the base, and pour 20~25 drops of medicinal alcohol into the nebulizer again. 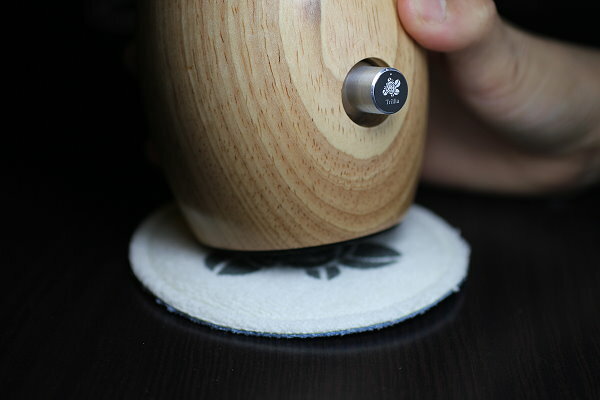 Turn on the power of diffuser, and clog will be cleaned automatically after 5~10 minutes operation. If you want to clean the oil stain and make the nebulizer transparent and beautiful, you can immerse the glass nebulizer and lid into the hot soap water(80~100℃), and take them out to rinse when the water cool down to normal temperature. Why the glass nebulizer broken when you put it into hot water to clean it ? 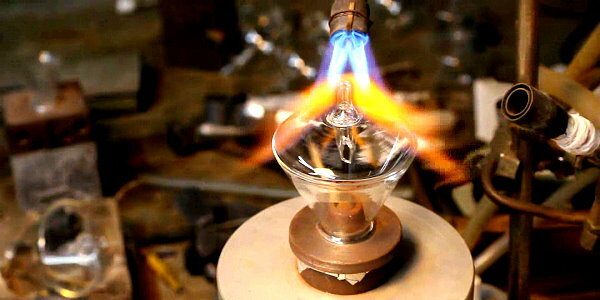 Nowadays, most of the qualified glassware are made by PYREX material, and it is capable to resist heat up to 230℃. Therefore, it will not be a problem if you put the glass nebulizer into hot water. But we found some of the glass nebulizers are not so perfect in terms of quality, because the glaziers did not join glass parts of nebulizer with right temperature and melting point, so it may lead to nebulizer broken when rinsed it with hot water. I love nature and I love to use essential oil. Nebulizer type diffuser is still the most natural way to atomize the oil and also keep the highest purity for your health. Hope you can enjoy it as I did.